“The mountains were my backyard and the sea was my front yard,” reminisces Chef Bernard Ibarra about growing up in France’s Basque Country. The Chef has cooked in France, North America, and Asia. Before landing in the Southern California last summer, he worked in Las Vegas for 15 years as Executive Chef at the prestigious Mirage and Aria resorts. Although he loves Vegas, he had longed to be near the sea again. 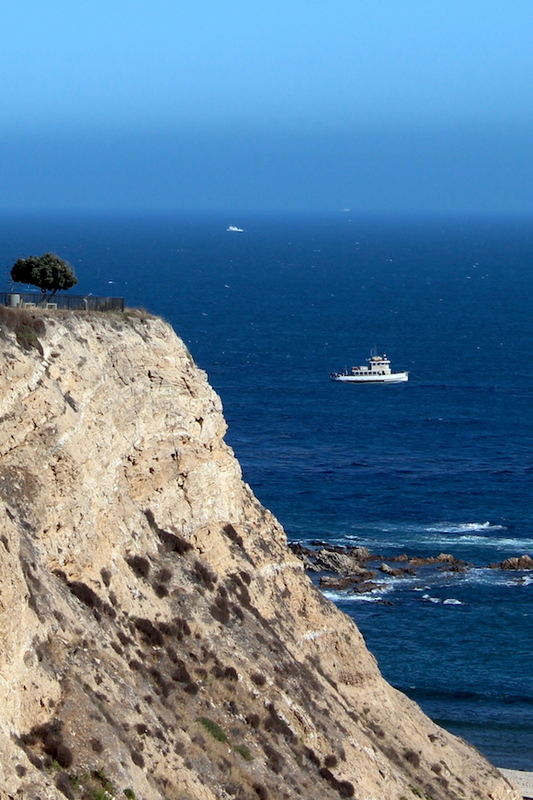 Now he’s come full-circle, with the hills of Palos Verdes at his back and the expansive blue Pacific at his feet. “It looks very much like where I was raised, except with better weather,” he chuckles. Terranea Resort has a collection of eight distinctive restaurants, bars, cafes and lounges ranging from fine dining to casual, many with breathtaking ocean views and emphasis on regional and seasonal ingredients. 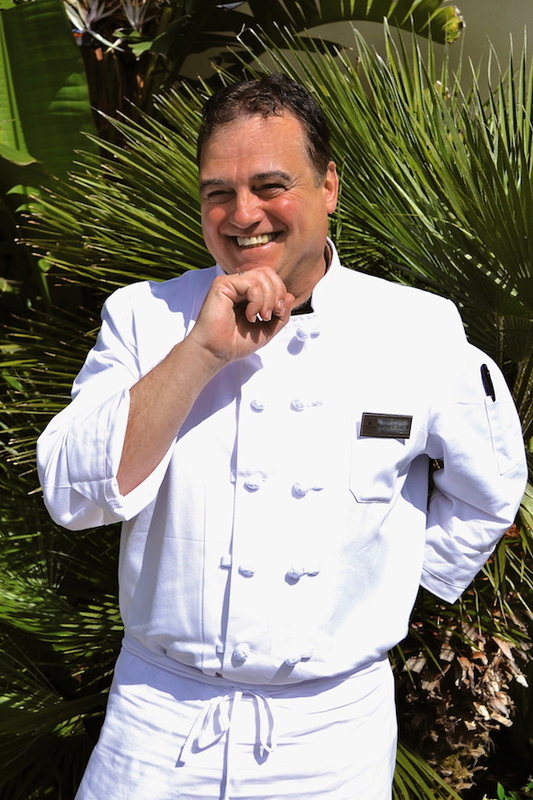 Chef Bernard oversees the supervision of the resort’s entire food and beverage operations, including banquets and in-room dining. 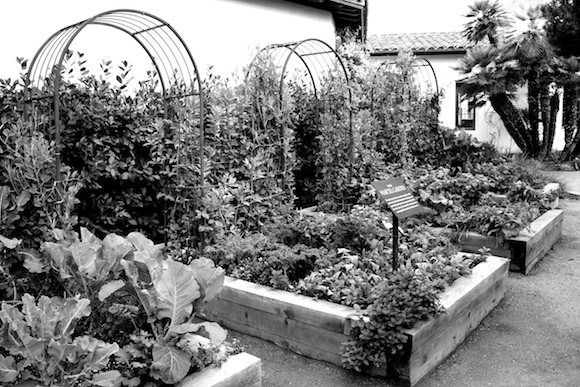 The Chef brings a true garden-to-table concept to Terranea restaurants – not because it is hip, but because it is natural, the way cooking should be, he says. 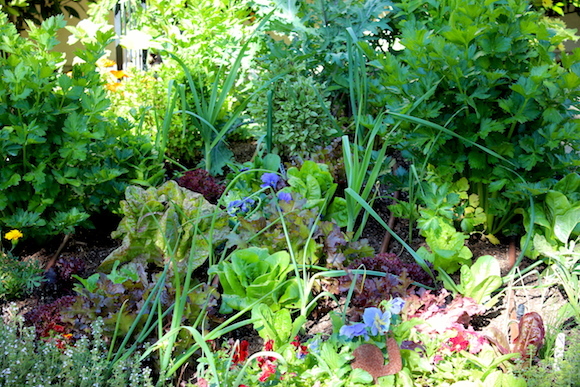 In France, they relied on local products and let the season dictate what is on the table. Menus would follow the rhythm of Mother Nature, where for example, asparagus is only available for two months in the spring, and strawberries only in the summer. 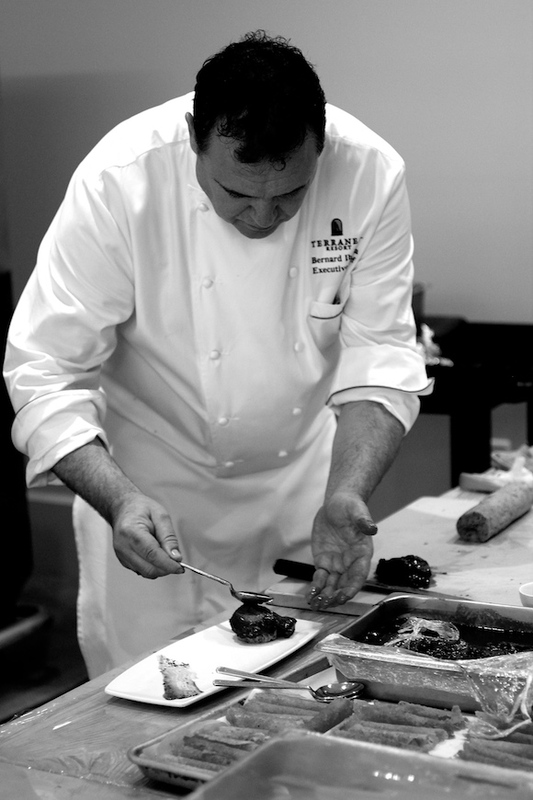 At age 16, Chef Bernard began cooking school in the Pyrenees Mountains. During summer breaks he would cook at restaurants along France’s Atlantic coast deepening his love for seafood. Later, he would follow the setting sun and head west to the land of lobster – Nova Scotia. Over the years as chef for the Four Seasons Hotels, he oversaw the kitchen operations across Canada, Seattle, Houston, Tokyo, and Singapore and subsequently became Executive Chef of the Mandarin Oriental in Hong Kong. 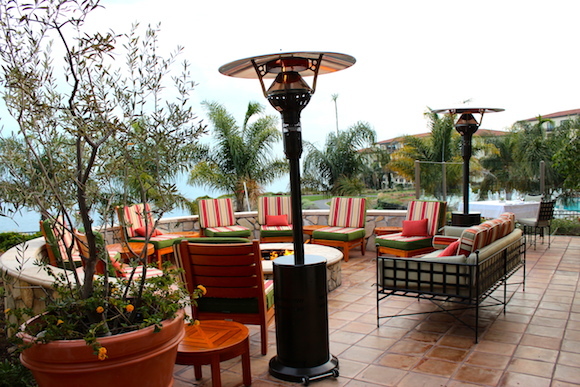 Now in Rancho Palos Verdes, California – the Chef and his team are eager to meet people from the community. 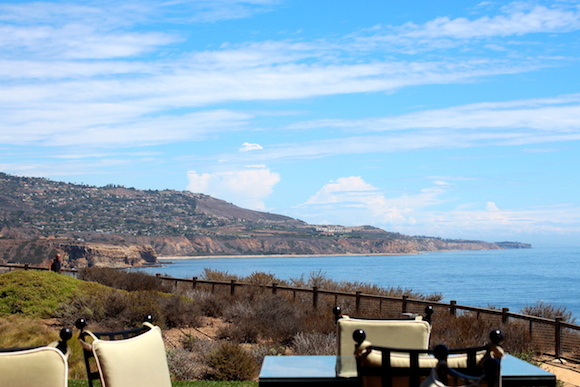 He feels that Terranea has substance, it is not just a collection of grand buildings, but a culture in the making. 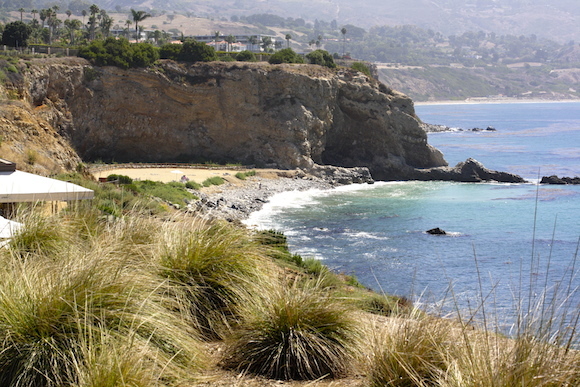 When South Bay and Harbor residents come for the first time, the beauty of the grounds and coastline make a lasting impression. They enjoy a fabulous meal and leave inspired. An interactive dinner with Terranea’s chefs in an intimate relaxed setting, it begins with a cocktail and hors d’oeuvres reception, followed by cooking demonstrations where guests learn how to prepare items on the evening’s menu. After the demonstrations, diners are seated at a beautiful long table on one of the resort’s many patios for an alfresco three-course meal, paired with extraordinary wines. At the conclusion of the evening, guests receive a gift bag loaded with tools to re-create the evening, including recipe cards and special gift items, such as the chef’s handmade salts, olives, and an apron. Giving back to the community is important to Chef Bernard. 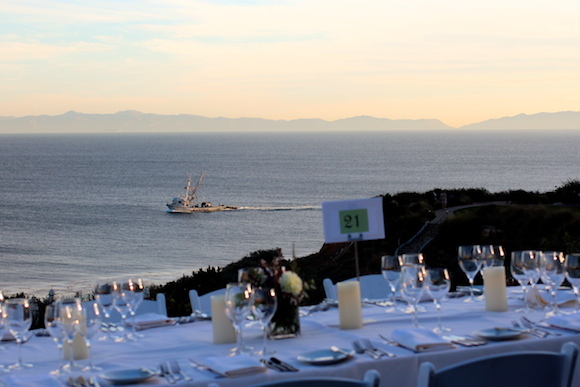 For each event in the series, Terranea partners with a different non-profit organization, the first dinner benefitted Los Angeles No Kid Hungry. The next event will showcase a Spring Bounty menu theme on March 20, 2014 – featuring wines by Grgich Hills and benefitting the American Red Cross. Passionate about Terranea’s 100 acres of natural beauty and bounty – and especially the resort’s proximity to the sea – the Chef is excited to incorporate citrus, vegetables and herbs grown on the property into the menu, and to serve fish from our local fishermen. There are times when he accompanies his suppliers at the San Pedro docks to inspect and select the fresh catch of the day, at 4 o’clock in the morning! “To see the fishing boats come in at daybreak makes your heart beat,” shares a chef who is clearly enamored with the magic of the sea. He is impressed with our local cod and lobsters’ rich flavor, the cleanliness of the water, and one of the best squid sources in the world – around Catalina Island. 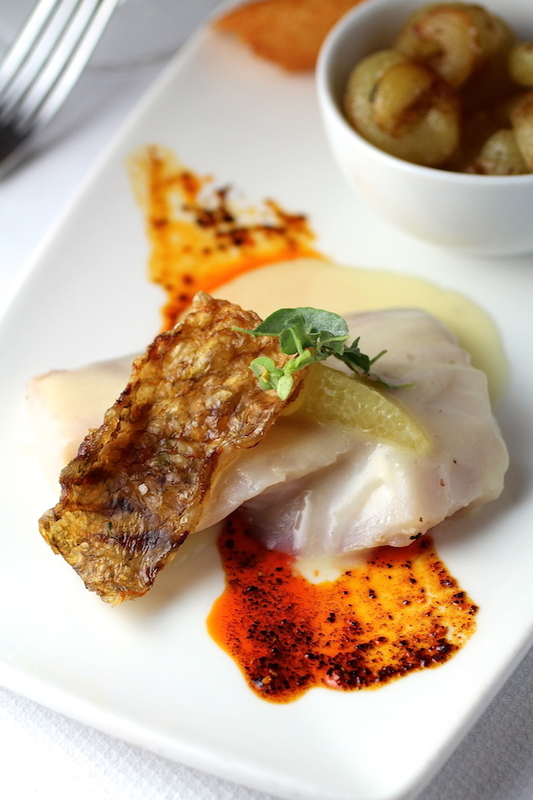 South Bay rough-eye rockfish, caught right here off the coast, was a featured dish at the first cooking event. 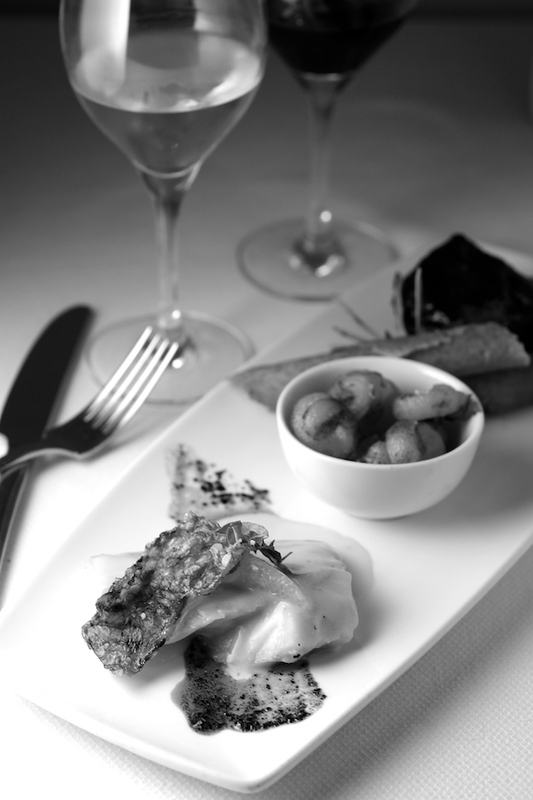 The fish was cooked in seawater sous vide style at low temperature to keep its integrity. 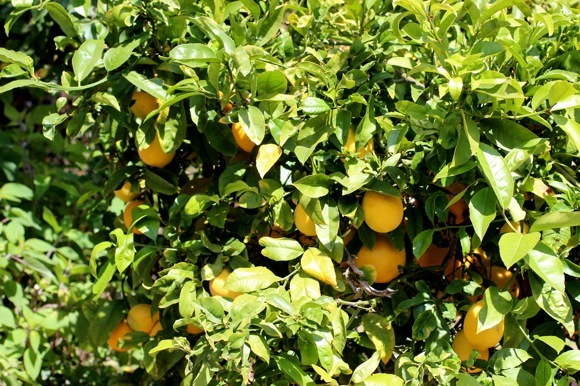 Meyer lemons from Terranea’s orchards provided the base for a velvety butter sauce. Lemonade berries and crushed saltbush, both plants native to the peninsula and harvested on the grounds, provided the garnish. He says the upcoming Spring Bounty event “will be like nature knocked on your door.” The menu will awaken you to the flourishing textures, colors, and aromas of spring. Enjoy one-on-one personal interaction with Terranea’s culinary team. Get inspired and learn how to recreate their dishes at home, or simply enjoy the evening, the camaraderie, the exquisite food and wines that mirror the Chef’s respect for the land and sea. Chef’s Cooking Series information: 310-265-2836. (From my column in Random Lengths News, March 7 – 20, 2014 issue). Such a gorgeous setting would inspire us all Lori Lynn. Thanks for sharing it all!! Nicely written….I can just imagine the experience, smell the sea and almost taste the food!! !